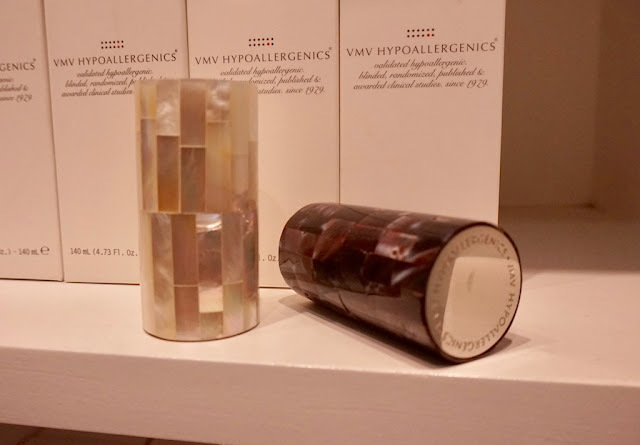 One of the best skin care brands (for real, guys, I don't recall using a product of theirs that didn't work at all on me), VMV Hypoallergenics has just released the most precious cheek stick yet; it's luxurious from the packaging down to what makes up the cheek stick. 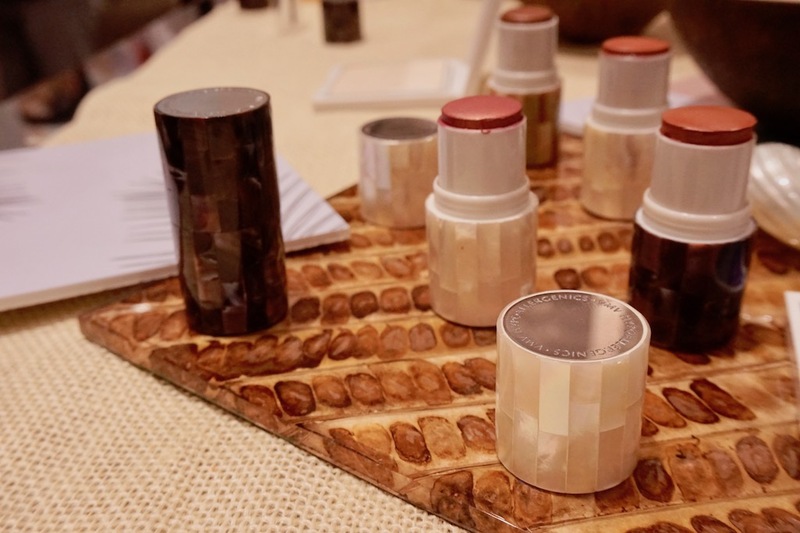 Boldly Glow Coconut Oil Skin Bloom Blush Stick is the newest product of VMV Hypoallergenics. This baby contains VMV's proprietary clinically- published, organic virgin coconut oil (yes, they have their own kind of coconut oil) freshly- sourced from their farm. Coconut Oil is very good for the skin because of the abundance of fatty acids that are native to the skin, plus it's anti-inflammatory and very moisturizing too. What's more is there is Monolaurin, particularly Coconut- derived Monolaurin that has anti- inflammatory properties and may help prevent acne. Wait, so is this makeup or skin care? Hard to believe that it's both, but yes, you better believe that it's possible to make makeup that's really good for the skin! 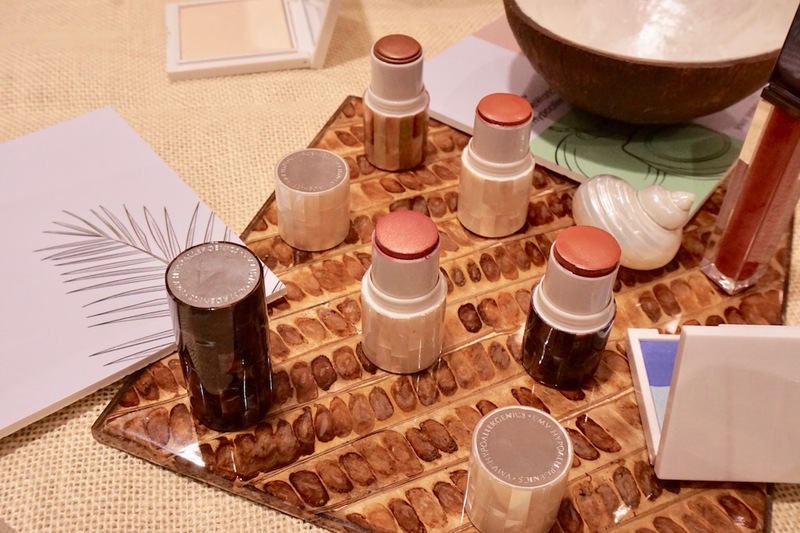 What caught my attention was the stunning packaging that reminded me of my grandmother's native Capiz shell jewelry, accessories, and home wares. I asked VMV about the inspiration behind the packaging: they want to communicate that VMV Hypoallergenics is a proud Filipino brand through the iconic, unmistakably Filipino Mother of Pearl packaging. Mother of Pearl has always provided that touch of elegance and a bit of luxury, and I think it complements the cheek stick too. 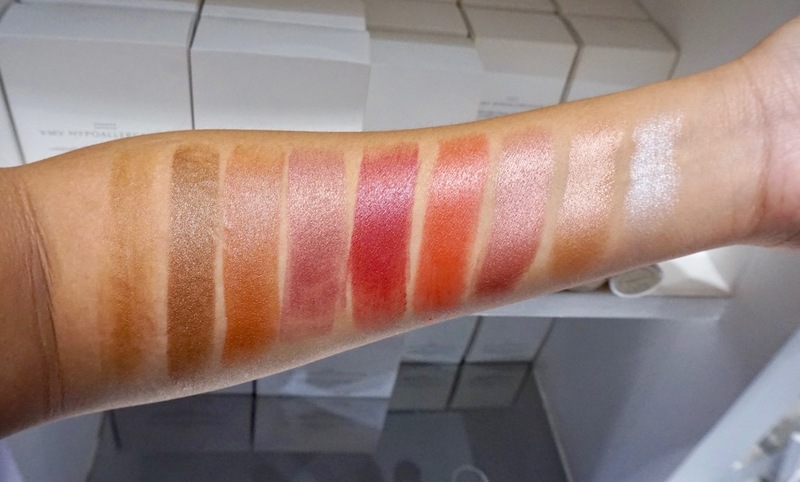 There are 9 shades to choose from and 4 out of the 9 shades are dye- free; the pigments are high quality minerals. Rosebud, Smauve, and Chisel are my top picks! I can't believe that it's VERY pigmented too! As always and just like the rest of VMV Hypoallergenics' products, this is non-comedogenic, safe for sensitive skin, does not contain common allergens, all types of fragance- free, Phthalate and Paraben- free, Preservative- free, and validated hypoallergenic. Whew! Boldly Glow Coconut Oil Skin Bloom Blush Stick is P2,000.00 and now available in all VMV Hypoallergenics boutiques. Visit VMV HYPOALLERGENICS PHILIPPINES on Facebook for more information about this product. OMG ang ganda, lalo na ung packaging winner! kaso ang mahal lol, pero effective naman ang products nila, been using their under arm spray tapos I tried their skin care line amazing din. Ayoko nga gamitin because if I empty it, I do not know what else to do with the packaging; I don't wanna throw it away huhu! Yes, great for sensitive skin talaga. And ambango din! Amoy coconut! Yes, possible talaga, thanks to brands like VMV. I once feel asleep with this on my my face and lo and behold, no break out the next day! Love it! Ang saya pang display! I think VMV is a pioneer when it comes to skincare and makeup. This particular product has a GREAT packaging! Super pretty! THE. COLORS. ARE. TOO. PRETTY! Knowing that this is infused with minerals makes me want to invest in them more! We need more products like this that provide extra skin care benefits. Thanks for sharing this, Ms. Martha! I love Cheek sticks! for me mas madali maglagay blushes gamit mga ganyan! wow those shades are sleek! bet ko mga yan! Until now, I find it hard to believe (not in a offensive way, I just so proud that from the aesthetic and feel of the product you can easily mistaken it for a foreign brand) that VMV is a Filipino brand.